Identifying the right machines for your business, getting all your supplies and service, all while balancing your productivity and budget needs is not an easy task. Let us take the pain out of printing. X West’s Managed Print Services (MPS) helps you gain visibility and control of your document processes – providing custom solutions tailored to your specific needs. We’re experts at managing even the most complex print environments, so you don’t have to. Our analytics-based approach will help us understand the full scope of your print environment across both Xerox and non-Xerox devices. We’ve created a tools architecture that incorporates thin, thick and cloud-based technology for local, regional and global support, so we can work in whatever environment you have. Using this information, we’re able to guide you through intelligent equipment consolidation and upgrades—designing a customized solution that streamlines document production while meeting and exceeding your delivery needs. 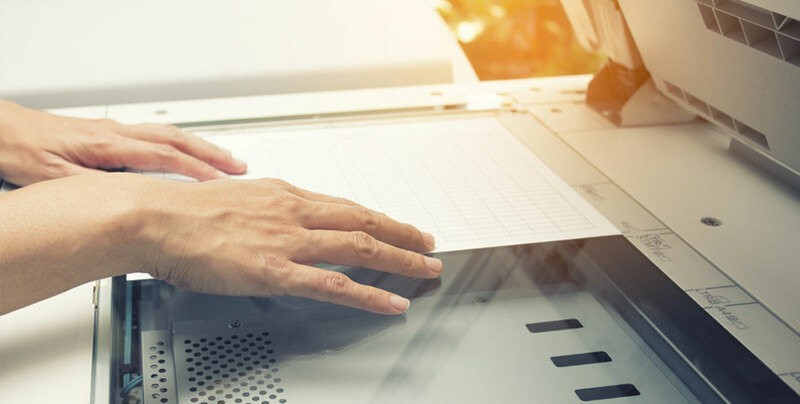 Now that we’ve optimized your printing environment, we’ve got to ensure everything connects to your IT environment in a secure, compliant way. Our approach integrates onto your existing IT environment and network with minimal disruption, so Managed Print Services (MPS) becomes a more welcome part of your business. These days, you can’t afford anything less than keeping information completely secure, so we use the latest technology for enhanced authentication, encryption and virus protection. We partner with experts like Cisco and McAfee, who have industry standards second to none. With the right technology now in place and securely integrated into your IT environment, we look at what it takes to improve productivity in your document-related workflows. We offer services and technology that take workflow automation beyond just scanning and digitizing paper documents. We know there’s nothing more frustrating than machines on the fritz or hidden costs that only reveal themselves in the fine print of an invoice. Our print management service provides a flexible, all-inclusive supplies and service program, with maintenance, on-site service and technical support ensures that you get dependable, professional printing when you need it – with no surprises. Efficiency, visibility, manageability, and balance. It’s what you’ve come to expect from X West. Let us take the pain out of printing – and put predictability, productivity and peace of mind back in.